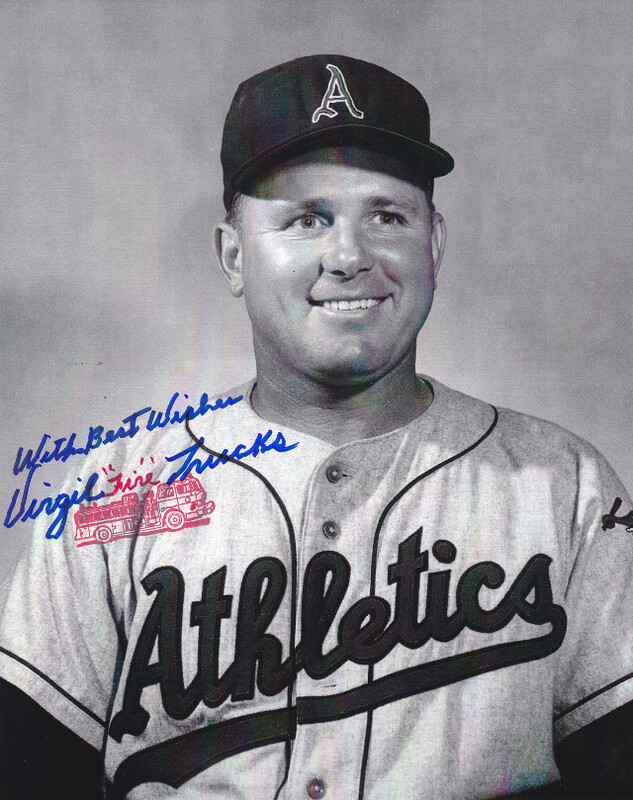 Virgil Trucks, who spent 17 seasons as a pitcher in the major leagues and served in World War II, passed away Saturday March 23 at a hospital near his home in Calera, Alabama, according to his daughter Carolyn Beckwith. He was 95. Trucks spent the majority of his career with the Tigers, pitching two no-hitters in 1952, which ironically accounted for two of his five wins that season. The Tigers, looking to go with a younger staff, traded Trucks to the St. Louis Browns at the end of the year. 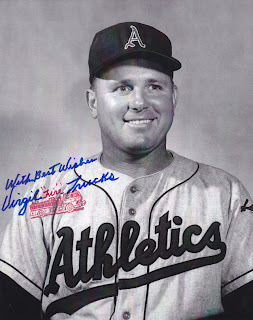 He would later play for the Chicago White Sox, Kansas City Athletics, and New York Yankees, before finishing his major league career in 1958. He pitched briefly in the minor leagues in 1959 and barnstormed with his good friend Satchel Paige in the off-season. He finished with a career record of 177-135 that included two All-Star appearances in 1949 and 1954. He was inducted into the Alabama Sports Hall of Fame in 1974. In 2004, he published his life story, "Throwing Heat: The Life and Times of Virgil Trucks," with co-authors Bill Bozeman and Ronnie Joyner. The Alabama native remained a popular figure with fans throughout his retirement, spending countless hours responding to every fan mail request. He often replied with hand written letters to those who sought correspondence. His daughter Beckwith said that his fans kept him energized well into the later innings of his life.